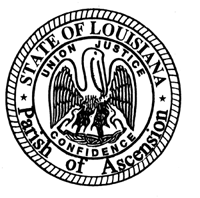 Important Reminder: Beginning on July 1, 2013, the state of Louisiana will be accepting the new national UCC-1, UCC-1AD, UCC-1AP, UCC-3, UCC-3AD, and UCC-3AP forms in addition to our Louisiana UCC forms (Revised 2009 or after). A non-standard form penalty will be assessed to any National UCC forms with revision dates prior to April 20, 2011 and to any Louisiana UCC forms revised prior to 2009. If you have any questions or concerns about this change, please call the Secretary of State's UCC department at (225) 925-4701. For current standard forms, please visit www.sos.la.gov. Fees reflected below include a $5 prepaid termination fee. * Anything other than the National Financing Statement forms or the Louisiana Financing Statement forms. * These are flat fees. No additional charges are assessed for additional debtors and/or attachments.